Mobile crowd sensing emerges as a new paradigm where widespread personal sensors can help to collect information beyond the previously possible scale. Existing spectrum sensing papers consider only secondary users in a cognitive system as the cooperative nodes. While if there are not enough secondary users exist, the cooperative detection performance will be degraded,and which will incur to a low spectrum efficiency or an inevitable interference to primary users. 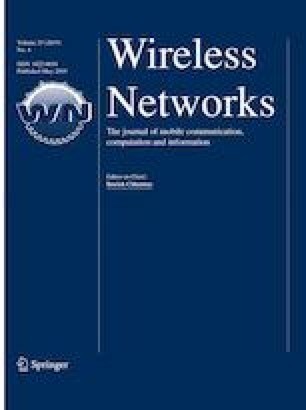 Hence in this paper, we take advantage of the Mobile Crowd Sensing to study the cooperative spectrum sensing where the sensing users are not only the secondary users but also a crowd of mobile users equipped with personal spectrum sensors (such as smartphones, vehicle sensors and tablets). Since spectrum sensing will incur costs for sensing users, an incentive mechanism is necessary to motivate adequate participation. In this paper, a Stackelberg game based incentive mechanism is proposed where the fusion center is leader and mobile sensing users are followers. In Leader game, the fusion center provides an optimal reward to incentive sensing users. And in Follower game, mobile sensing users adjust their own detection probabilities for obtaining more profits when given the reward published by the fusion center. Furthermore, the strategy adjusting process for each sensing user is modeled as a Coalition game where sensing users decide whether join in a coalition based on its utility maximization. We prove the existence of unique Nash Equilibrium in both Follower game and Leader game. Extensive simulations evaluate the feasibility and practically of proposed incentive mechanism. And the results show that a better detection performance can be obtained by the fusion center in our algorithm. This work is supported by National Natural Science Foundation of China (61571234, 61631020), National Basic Research Program of China (973 Program: 2013CB329005).